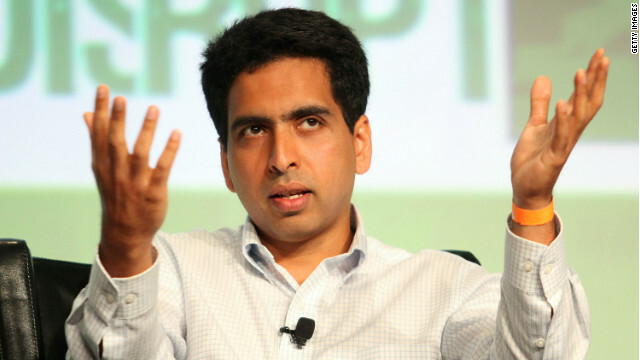 Salman Khan, founder of The Khan Academy, says he wants to have a global impact on education. (CNN) - This is the time in the school year when parents really have a sense of whether their children are struggling academically. For those parents whose children are having a hard time with math, and are seeking help, one name seems to be popping up more and more: Salman Khan. Each month, 7 million children and adults log on to Sal Khan’s website, the Khan Academy, to get clear, entertaining, informal video tutorials on everything from basic addition to advanced calculus and more. So who is Sal Khan? Where does he get his credibility? Is it from the three degrees he earned from MIT or the Masters he received from Harvard after being raised by a single mother who struggled to make ends meet? Is it from the raves he gets from Bill Gates who uses Khan’s online videos for his own children? Is it because he did not create the Khan Academy to make a fortune but to have an global impact on a critical area of education? You can judge for yourself when you listen to Sal Khan tell his story on this CNN Profile. It all began with Sal Khan’s desire to help one young relative who was underperforming in her math class. And then, as you will now hear, serendipity took over. I think it's cool that there are videos for all levels. I bet this will help many people succeed. It's great that Sal Khan is giving a chance to the kids that are struggling in a regular schools. And because Khan has three degrees from MIT and masters from Harard I'm pretty sure he knows what he's doing. It sounds nice for those in need who need more help. I also think it is cool that the guy has degrees in 2 of the best schools like MIT and Harvard. This is obviously a reliable source to learn because 4 degrees is alot. I think Sal Khan will make a huge global impact all around the world. I think this is a great idea and will help many people to inspire their dreams. One subject shouldn't bring someone down if they struggle in one subject area. This is a great guy who showed lots of leadership in his life and I really think those children who struggle in math will find there dreams with the help of Khan. He will inspire many!